When I was a child, my “play” included organizing Barbie’s closet and organizing my mother’s plastic kitchen containers. While I was in the Army, I excelled in barracks and uniform inspections and greatly enjoyed the standard operating procedures that identified the tasks to be done and the order in which to do them. As an adult I began scrapbooking the thousands of photos I had accumulated and with this hobby came an abundance of tools and supplies that needed organizing. It was such a relief to know what I had and where it was stored. In 2012, I offered to organize craft supplies and craft rooms for my friends. After their craft rooms were organized, they began to request for me to come back and organize their kitchens and pantries, home offices, children’s rooms and toys, master bathroom and garages. A Professional Organizer was born. In a similar fashion to the “runner’s high,” I experience an “organizer’s high” when things are sorted and every item has a place. 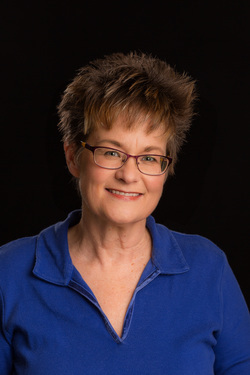 ​"My passion is helping busy people and families enjoy each other and their home by decluttering, organizing, and creating solutions to establish easy-to-maintain systems for order in the home." In April 2015, I registered my business with Washington State and the IRS. Next I became an active Professional Member of the National Association of Professional Organizers (NAPO) and completed specialized training for organizers. As a professional service provider and an imperfect human being, I enter your home with no judgment on how it looks. I come to help sort through the clutter, create order from chaos, and provide intuitive solutions for storage. 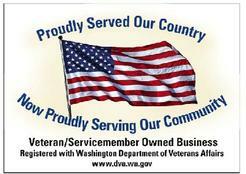 This Veteran Owned Company is Licensed, Insured and Bonded.